Pretty sure they are Alexander McQueen. His 2010 collection where this shape started was inspired by moths and the shoes, cocoons. The pinterest gallery is beautiful, for the clothes. 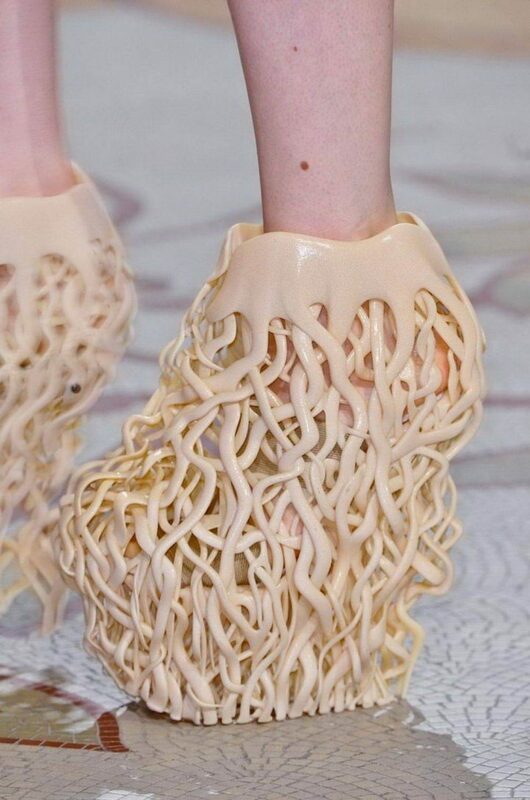 McQueen designs are hit or miss with me… this would be a miss. These might be interesting in a color that isn’t pudding…. I’ve liked many Iris van Herpen designs; At times I’ve wondwered if She will ever be tapped for movie costume design.